Great news – due to unprecedented demand we’ve just updated our 2018 Groups Programs and now have even more choices available. See below for a snapshot and click HERE to go to our high resolution Groups Program Brochure download. NDIS ECEI Inquiry Report Released! Kalparrin is now preparing to take inquiries from families wanting to participate in the Get Set 4 Prep School Readiness Program in 2018. We know you’ve been waiting for them so here they are! The Term 2 Dates for Groups Programs and Hydrotherapy Sessions. Don’t wait too long to book your sessions because they book out quickly! 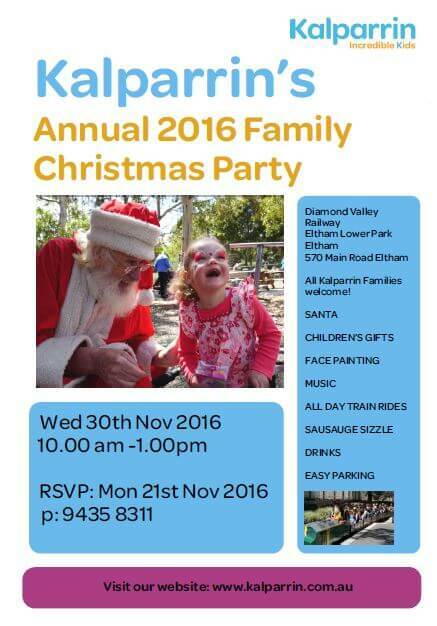 Just call Kalparrin on 94358311 to reserve your place. 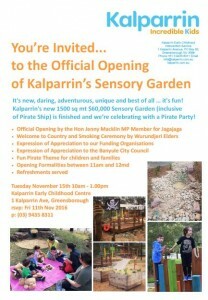 Kalparrin’s NDIS compatible Group Programs for 2017 offer the widest variety of Group Programs available at any early childhood service in Victoria. Kalparrin’s 2016 Children’s Christmas Party! 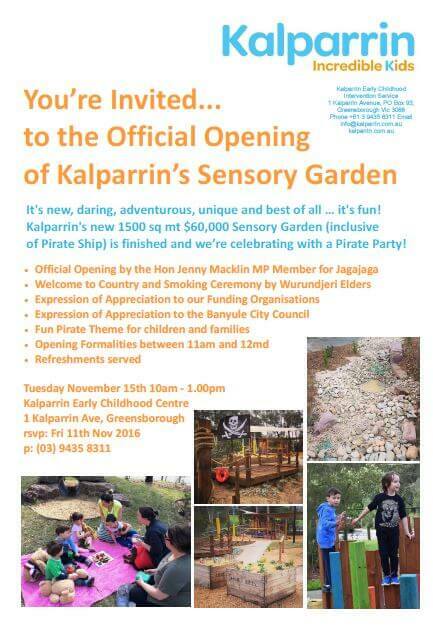 You’re invited to our Sensory Garden Opening!